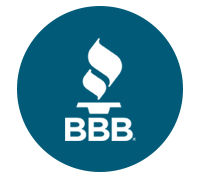 We have been moving homes, apartments, and offices since 1983. Get a personalized moving quote in Minutes! Please Note: We are a Local Arizona Moving Company. We do not move out of the state of AZ. Are you moving a home, apartment, or office? How many levels or stories is your home? What floor is your apartment or office on? Talk With A Moving Specialist Now! Click Here To Talk With A Moving Specialist Now! We’ve been moving Arizonians since 1983. We never use temp services or day laborers. We are owned and operated by a Phoenix family. Best Moving Company in Phoenix! I chose Budget Movers from all of the good reviews I read on Yelp and boy, they were right! 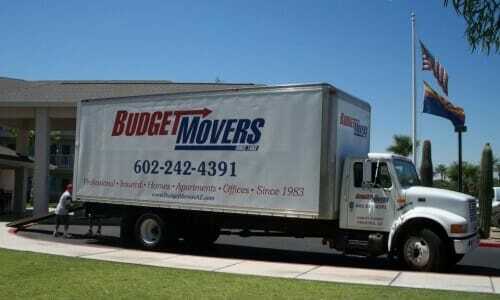 Budget Movers was the best moving company I have ever used, and I have moved a lot! I would highly recommend them. These guys were very nice and awesome to work with. Nothing got damaged or broken. 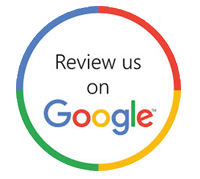 I just can’t say enough nice things about my experience. 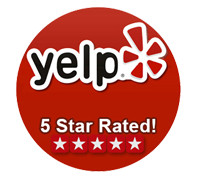 I am very happy and pleased with the service I received. If I ever move again (and I hope I don’t), I will definitely call these guys. Fantastic Movers! Budget Movers were fantastic! The three guys that moved us were professional and very caring with all of our belongings. They were polite and considerate and knew exactly what they were doing. They made our short move very easy! We highly recommend them for your move. Hard Working Moving Crew! These men work hard and do a very good job!! They are very kind. Here in Phoenix, it can get HOT,(especially summer months). they work at a good pace and I always appreciate them. Our children pay for our move and budget movers are the best yet… they deserve a good tip at the end.of the day. Not everyone can lift heavy stuff. Good job boys and thank you for your kindness toward our family." AMAZING company! they made my move a wonderful experience! I move quite often and they were spectacular! Fully recommend! These guys do a fantastic job! I have used them twice this past year, once for my office and just recently for my own personal move. Each time they did excellent work. They are very efficient and careful with your stuff. The guys are friendly and easy to work with. The price is very reasonable. Would definitely use them again for any move I do in the future. Great company! The owner treats his customers very well. Seriously The Best! These guys are seriously the best. So careful, kind and easy to work. Jim the owner is super easy to communicate with and their prices can't be beaten! We used them for packing and moving from a 2000 sq ft house to a 3000 sq ft house and everything went perfectly. So grateful we received this recommendation! Want to avoid the stress and sweat of moving in Arizona? We have the equipment and experience to make your move a breeze. Already have a truck, trailer or storage container? We will load and/or unload your belongings, anywhere in the state. Don’t have the time or unable to pack your own boxes? 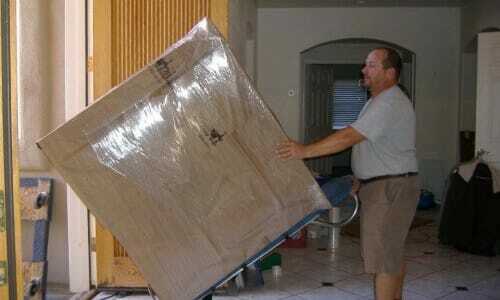 We have the experience and expertise to pack your home or office for you.